Varedan Technologies was founded in March of 2000. Our main facility is located on the West Coast of the United States in Torrance, CA and houses our corporate, engineering and manufacturing staff. We provide quality servo amplifiers and controllers to our OEM partners and have the expertise to provide innovative solutions for the most demanding applications in many industries. 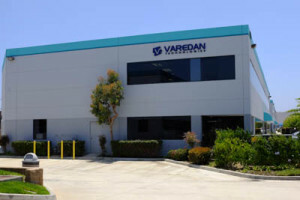 Whether an application requires an entirely new product or a variation of a standard one, Varedan Technologies has the engineering, manufacturing and testing resources to meet your needs. Knowing that standard products won’t always fit every application, we will gladly customize our existing products or even design new ones to fit specific requirements. Every product that we manufacture is 100% tested before it leaves our facility by our proprietary in-house automated test equipment. At Varedan Technologies, we understand that the best solutions begin with a clear understanding of the application. That is why we work closely with our customers to guarantee that we are providing them with the optimum solution. Please give us a call today to discuss your motion control requirements with one of our experienced applications engineers. Varedan and its employees are committed to meeting customer and legal requirements in order to achieve customer satisfaction. We will always strive to provide quality products on time and continually improve our Quality Management System. For a complete copy of our quality policy, click here. It was a pleasure working with Varedan Technologies. Their knowledgeable applications engineering team provided product details and extensive application support for our selection of the LA-1500 series, 6.5kW peak linear amplifier solution, that was delivered on time and has worked as advertised. Varedan Technologies worked closely with our engineers to insure the design was not only robust, but would allow us to re-use much of the existing software base, an important consideration in our software intensive device. Time to market was also an important consideration, since the sooner the controller was in use, the sooner ChromaVision could begin saving money. “The controller went from concept to prototypes in about 6 months.